There are two days of the year that are considered sacred to the iOS developer community — the Monday of WWDC and the revealing of the year’s new iPhone. 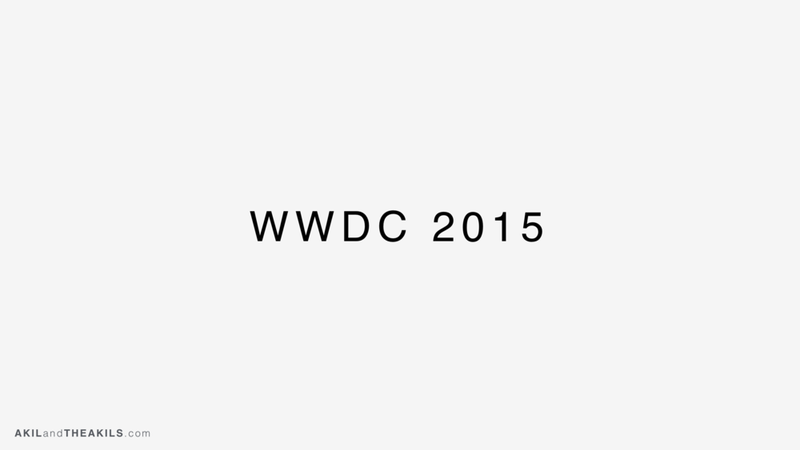 Any seasoned developer knows that these two days are very closely related. WWDC being the week that Apple announces new software (this year, iOS 12), and iPhone reveal in the Fall being the time of the year where they actually launch that new software. One of the key things you need to do to make sure you have a productive summer is to find what features in the plethora of API updates, and new API releases are going to be a focus for Apple. So, how do you do that you ask? I’ll tell you! It’s actually quite simple as there is a bit of a formula you can follow. You see, every year during the WWDC Keynote, Craig gets on stage and says something to the effect of “We have 2000+ new APIs in our new OS” then he proceeds to only go into detail about 10 or so of them (14 this year). These features are typically the main consumer facing features that Apple believes will be huge selling points for the new OS and the new iPhone. Don’t believe me, check out how these features have manifested themselves in the past 3 years (and earlier). Here is the slide highlighting most of the consumer facing features for iOS 12 this year. 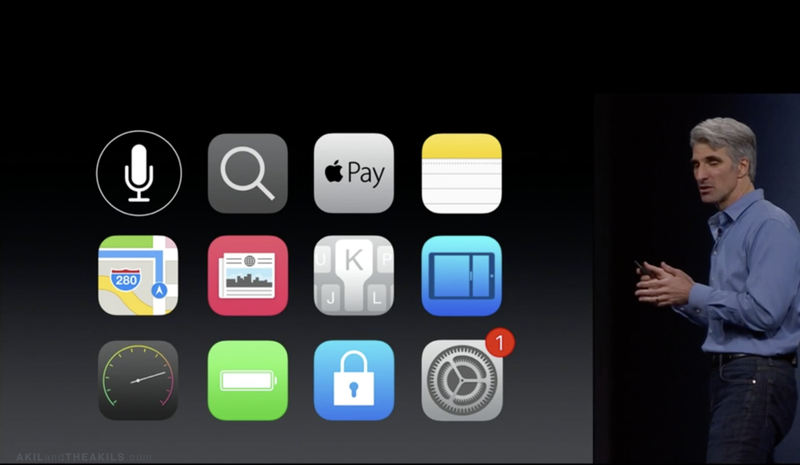 These are the features that I'd bet Apple will be marketing when it launches in the Fall. 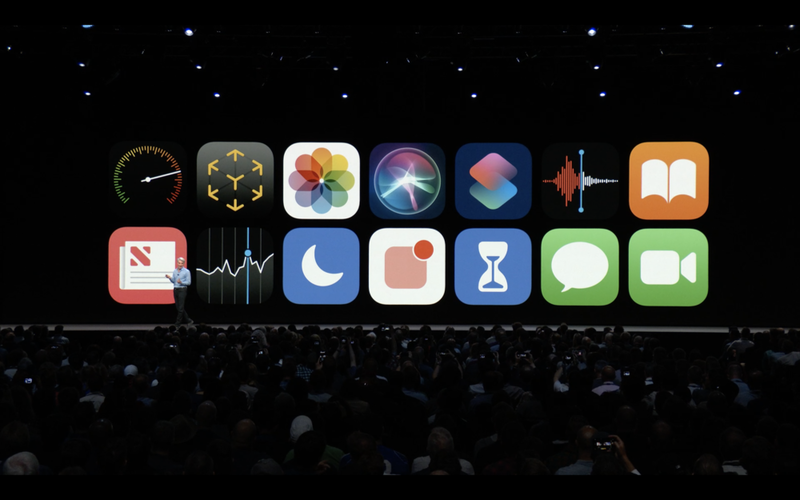 As a developer, these are the features you should be focusing your energy on this summer because these are the ones that Apple will be heavily promoting in the Fall. Integrating these features in your app launches and app updates in time for iOS 12 launch can really earn yourself a ton of attention as you will be able to ride the Apple marketing title wave. Okay, so now that you know which features are LIKELY to garner the most attention from not only Apple, but the world, you’ll need to identify which of these features are applicable to your app or game. I typically suggest that developers be very deliberate about spending some time with their core team white boarding, spit-balling and brain storming ideas. There will always be some really obvious integrations that can be made. For example, if your app is an AR game, it probably makes sense to think about integrating ARkit 2. If your app helps people perform tasks, maybe Siri Shortcuts is the way to go. Or if you are an app that can take advantage of Machine Learning , Core ML might be appealing. Regardless, having a sit down with your team will give you the opportunity to identify some not-so-obvious integrations that really might really help differentiate your app from others. These types of scenarios always intrigue the folks at Apple as well as the broader tech community. But remember, you don’t want to integrate any and everything as that will not help sell your product — be very deliberate in what you choose and the problem you are trying to solve for. 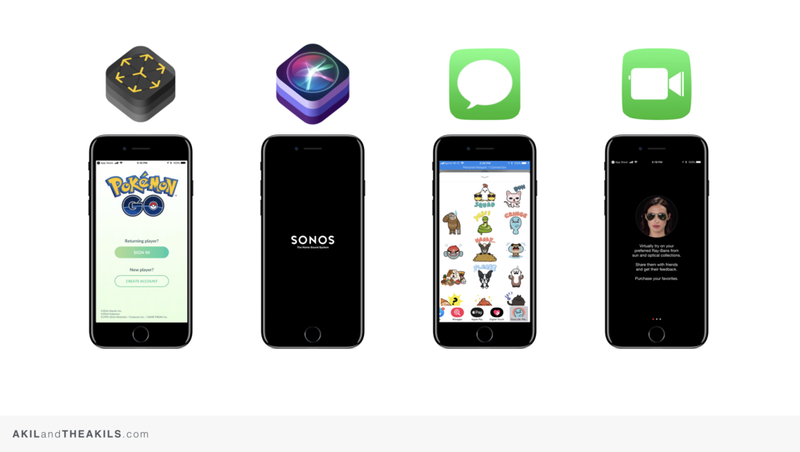 It is important to identify what features make sense for your app whether you are an AR game like Pokémon Go that may use ARkit, an app like Sonos which may use Siri Shortcuts or apps like Toca Life: Pet Moods and Ray Ban's Virtual Try On which may use new features in iMessage and FaceTime. Alright — you’ve got the list of features that you will plan to integrate for iOS 12 launch, now its time to integrate them! Its super important to start getting your hands dirty with the software early in the summer. This will allow you to quickly become familiar with the APIs, their kinks and file bugs to Apple against anything that isn’t quite working as expected. Over the years, we’ve seen a lot more developers turn to third party engines to do some of the heavy lifting in terms of development. Many developers assume that if they are developing in a third party engine like Unity or Unreal, they are automatically prevented from integrating new tech because typically the engines can take a while to have these features built in. While this can be true, Apple has done a great job over the last few years making sure they support the engines in a way that would allow them to implement features early on. Additionally, the engines will sometimes prioritize features based on what their developers are clamoring for. So if Unity or Unreal doesn’t support the feature you need, tell them — and tell them early, and often! Regardless of what you are using to develop -- start now, it will pay dividends! As developers, I know it can be second nature for us to be super secretive and protective of our work — sometimes to the point of paranoia. When developing for a new OS, sharing is actually a really powerful tool. Share with your users, share with your peers, share on social media, and share on the internet. This is will allow you to get some valuable feedback and potentially even early visibility. I’ll let you in on a little secret: once WWDC concludes, Apple starts looking for apps for potential inclusion in their launch activities almost immediately. And guess what? Within the week or two after the announcement of this new tech, there are barely any developers who have actually put some of these features to work. The advantage that sharing your early work on iOS 12 does is that you could potentially get on the radar of people who may be able to move the needle for you. Once you are on their radar, they’ll be following what you are doing for the rest of the summer 😉. Share with your users to get feedback, share with the internet and on social media for ideas and inspiration, and if you are lucky enough to have an Apple Rep, share with them! We all know the value of testing and refining your work. This is obviously super important in developing any type of product but there are a few reasons why it is critically important when you are thinking about developing for a new OS. The first is that the APIs will be constantly changing all summer. Because of this, you want to make sure you are consistently testing on the latest betas. Don’t just build a prototype that works well in June on beta 1 and not test again until beta 8 or 9. It’s almost 100% guaranteed that it will not work the same as it did when you first integrated. The second is that when you are getting closer to the time you’d share demos with press, users and Apple, you want to make sure it functions as designed. If you aren’t thoroughly testing, this is a sure fire way to blow a golden opportunity. Ok, so you’ve spent a good part of the summer coming up with something that you are really proud of and excited to share with the world! Now you need to put pieces in place to be able to hit the ground running once you have launched. Of course, this includes cleaning up any remaining bugs to make sure you are shipping the highest quality product — but it also includes making sure you have a cohesive launch strategy. Doing the “little things” go a long way here! Prepping art assets for use on social media and on the web, reaching out to press, updating your App Store page, sending email blasts to your mailing list of users to let them know you are launching, sending demos out, pitching a few stories to Apple — all of these things can go a long way in helping you create visibility for your app. Working together, they can be an even more powerful tool in your go-to-market arsenal. Don’t leave any stone unturned! Prepping for launch is a lot more than squashing the last few bugs, its about having a cohesive launch strategy which includes quite a few elements. The time has come to launch! You’ve already done the hard work to create a great experience for users once they get their hands on it. Once the GM is released, do a quick sanity check to make sure everything is functioning as expected (if you have been testing all summer there should be no surprises), submit it, wait for Apple to approve it and release your app when iOS 12 is to released to the public! One thing that is important is to get your app submitted ASAP after the release of the GM. You’ll have only a few days between GM release and OS launch, so you want to get your app to the App Review team as soon as possible in case there are any surprises that may result in you getting rejected. That way, you’ll be able to make the fixes, resubmit and still get your app out in time for iOS 12 launch! If all goes well, you’ll be one of the first, and best iOS 12 apps released to the world and through your hard work refining and perfecting your features during the summer, you would have put yourself in a great position to get a ton of attention on your app! Go forth and flourish!